“World on the Horizon: Swahili Arts Across the Indian Ocean” opens at the Smithsonian’s National Museum of African Art May 9. The exhibition, on view through Sept. 3 in the International Gallery, reveals the diverse interchanges that break down barriers between Africa and Asia in a space that physically connects the Smithsonian’s African and Asian art museums. The artworks, through an intricate network of trade and diplomacy, have historically deep and enduring connections to eastern and central Africa, the port towns of the western Indian Ocean, Europe and the eastern seaboard of the United States. One-of-a-kind objects loaned from the National Museums of Kenya and the Bait Al Zubair Museum in Oman will make their debut to North American audiences. The exhibition is thematically organized and features objects and images recognized for not only their artistic excellence, but also how they visualize wide-reaching networks of mobility and encounter. Ranging from intimate pieces of jewelry to impressive architectural elements, the exhibition includes exquisitely illuminated Qur’ans, carved doorposts, furniture, maps and other works. Swahili objects embody multiple cultural histories and aesthetic trends that are themselves itinerant and open to interpretation. “World on the Horizon” demonstrates how the Swahili coast is a vibrant site of global cultural convergence and to Africa’s contributions to the artistic vocabulary of the wider Indian Ocean world. The exhibition is curated by Allyson Purpura, senior curator and curator of Global African Art at Krannert Art Museum in Urbana-Champaign, Ill., and Prita Meier, assistant professor of art history at New York University, and overseen in Washington by Kevin D. Dumouchelle, curator at the National Museum of African Art. The exhibition opened at the Krannert in August 2017 and following its showing at the National Museum of African Art it will travel to the Fowler Museum at UCLA in fall 2018. Purpura is senior curator and curator of Global African Art at the Krannert Art Museum at the University of Illinois at Urbana-Champaign. Her research on the politics of Islamic knowledge practices in Zanzibar led to her current interest in the broader connections between knowledge and power, particularly as they play out in the representational practices of museums. In addition to her teaching and curatorial practice, Purpura has published on a range of topics, including Islamic charisma and piety in Zanzibar, script and image in African art, “undisciplined” knowledge, ephemeral art and the politics of exhibiting African art. She has a Ph.D. from CUNY Graduate Center. Meier is assistant professor of art history at New York University. Her research focuses on the arts and architectures of east African port cities and the histories of transcontinental exchange and conflict. She is the author of Swahili Port Cities: The Architecture of Elsewhere (Indiana University Press, 2016). 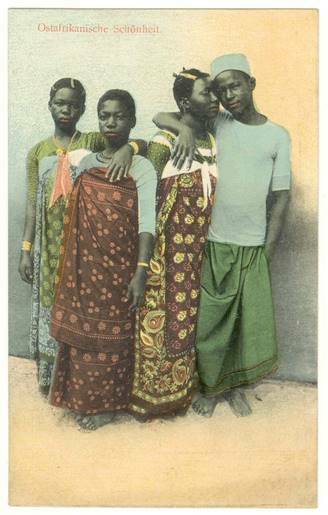 Meier is working on a new book about the social and aesthetic history of photography in Zanzibar and Mombasa. She is currently the William C. Seitz Senior Fellow at the Center for Advanced Study of the Visual Arts at the National Gallery of Art (Washington, D.C.). Meier has a Ph.D. from Harvard University. Dumouchelle has served as curator at the National Museum of African Art since October 2016. He was the lead curator for “Visionary: Viewpoints on Africa’s Arts” (2017), the museum’s most recent, comprehensive presentation of its permanent collection. From 2007 to 2016, he was the Brooklyn Museum’s curator in charge of its African and Pacific Islands collections. At Brooklyn, he conceived two award-winning reinstallations of the African collection: “African Innovations” (2014) and “Double Take: African Innovations” (2014). He has written books and articles and curated a range of exhibitions on contemporary and historical African art, including “Power Incarnate: Allan Stone’s Collection of Sculpture from the Congo” (2011) at the Bruce Museum, and the Brooklyn Museum presentations of “Gravity and Grace: Monumental Works by El Anatsui” (2013) and “Disguise: Masks and Global African Art” (2016). Dumouchelle has a Ph.D. from Columbia University. Public programs will accompany the exhibition to engage the museum’s diverse audiences from K-12 to adult. In addition, the exhibition will be accompanied by art-making workshops, lectures and a Community Day in celebration of its public opening. Visitors of all ages will be invited to experience performances and events intended to inspire them to learn more about the people and cultures of Africa and its diaspora. All programs and events are free. The video series Gems Insight, produced as part of the Connecting the Gems of the Indian Ocean project, will be on sublevel 3. “World on the Horizon” has been made possible in part by major grants from the National Endowment for Humanities. The National Museum of African Art is the only museum in the world dedicated solely to the collection, conservation, study and exhibition of Africa’s arts from antiquity to today. The museum’s collection of over 12,000 artworks represents the diversity of the African continent and includes a variety of media—from sculpture and painting, to photography, pottery, jewelry, textile, video and sound art. The museum is open daily from 10 a.m. to 5:30 p.m. (closed Dec. 25). Admission is free. The museum is located at 950 Independence Ave. S.W., near the Smithsonian Metrorail station on the Blue, Orange and Silver lines. 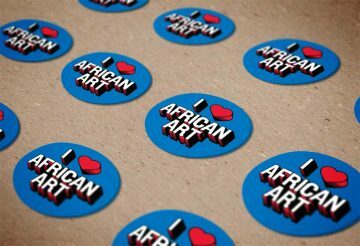 For more information, call (202) 633-4600 or visit the National Museum of African Art’s website. 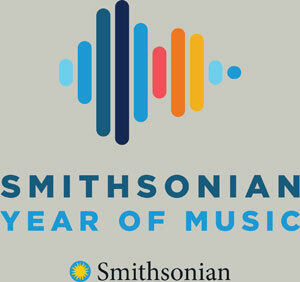 For general Smithsonian information, the public can call (202) 633-1000. Follow the museum on Twitter, YouTube, Instagram and Facebook. Join in the discussion on social media using #SwahiliWorld.